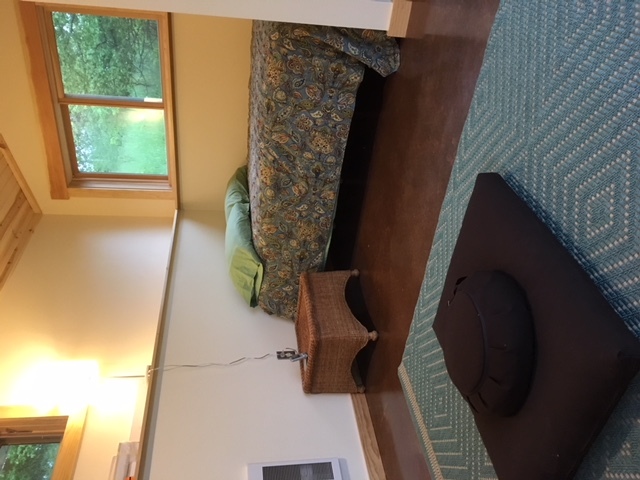 Our first full season Meditation Hermitage was finished in 2015 and has accommodated many retreatants. 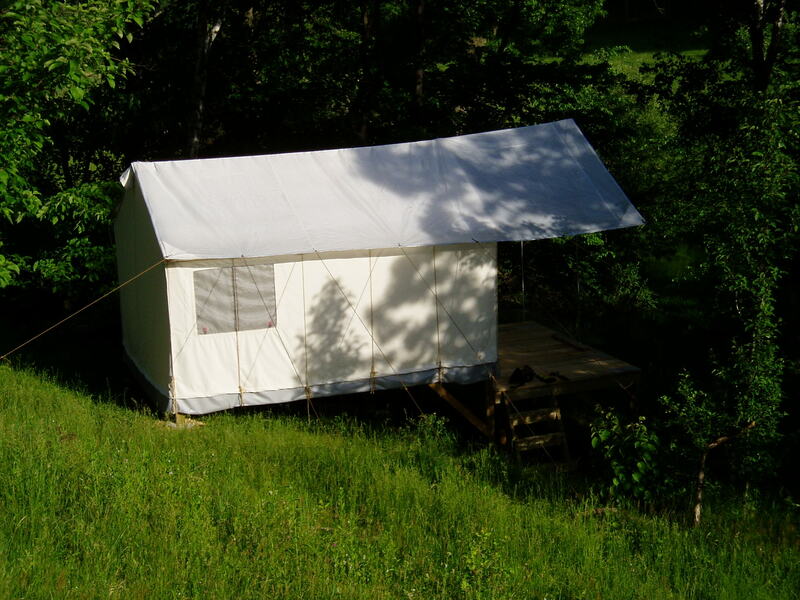 Woodland Hermitage is intended solely for contemplative retreats, to accommodate meditation, study, and simple living. It is a simple wooden structure, well insulated with a wood burning stove (and no electricity or plumbing). 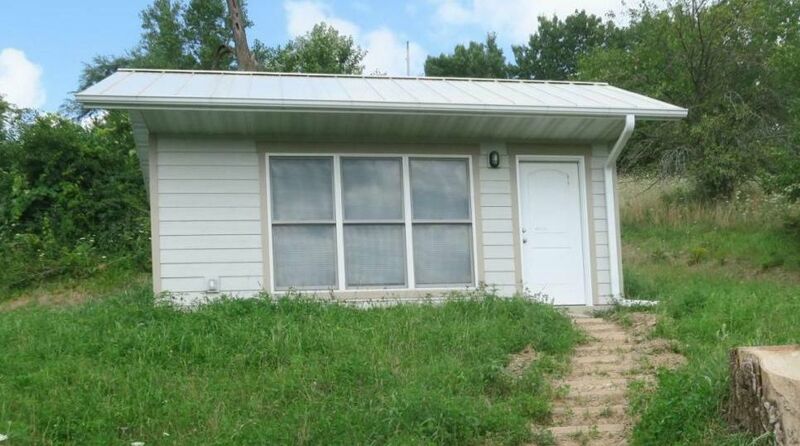 It is naturally lit by ample windows. 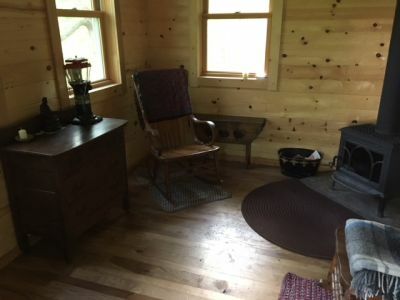 The interior is 10x12 feet with a 4x10 porch on the east side and a sitting platform along the downhill side. 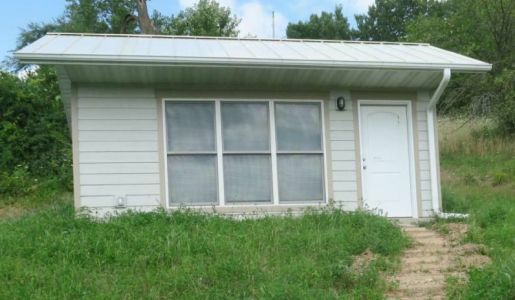 It is intended for a single occupant. 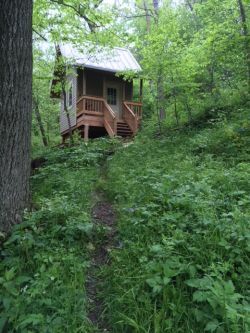 The hermitage is located in the back part of the property, tucked into the trees a little way up the northern side of the valley. It's a 5 to 8 minute walk from the Guest House. Our newest accommodation for retreats, garden hermitage was completed along with the Guest House in 2017. 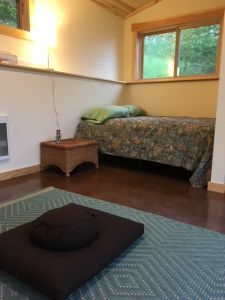 A single room has ample space for meditation, yoga, and reading, plus the sleeping alcove, a closet, a small toilet, and tea making area with sink. It is close by the guesthouse for access to kitchen, showers, etc, and overlooks the garden. On the first floor of the guest house, these are the closest accommodation to bathroom/showers and kitchen. 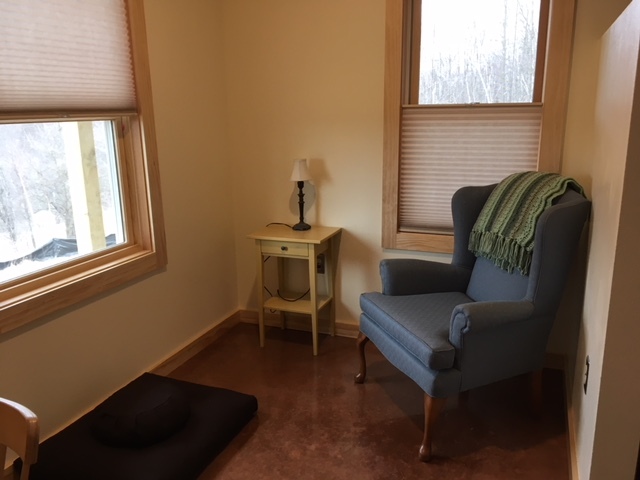 Designed for single occupant, the primary guest room has a sitting space towards front and sleeping area in back along with a closet. Our second guest room is a much larger room that may serve other uses in the future. 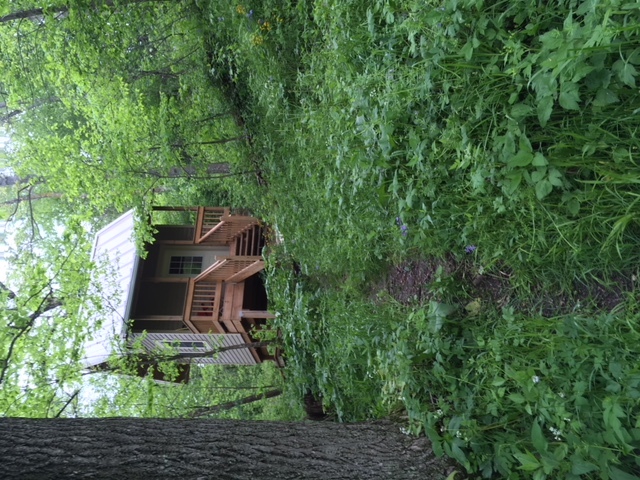 Wherever you sleep, bathrooms and showers are on the first floor of the guest house. Cooking happens in the fully equipped kitchen on upstairs of the guest house. 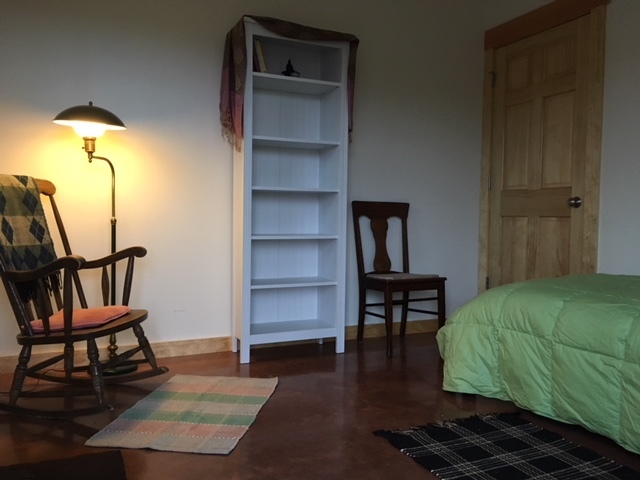 Retreatants may reserve spaces according to the information here and availability.